CEI Materials manufactures architectural panel systems and components for the commercial construction industry, serving clients from a wide range of industries in Arkansas and across the U.S. We're committed to being the foremost provider of architectural facades by approaching every opportunity with enthusiasm and integrity. Since our inception in 2008, we have installed over 500 projects, many for major corporate brands. Whether your project has 1,000 sq. ft. or 250,000 sq. ft. of wall surface, our dedication to your project is the same. At CEI, we understand the importance of delivering projects on time, accurately and within budget. With this in mind, we take a professional approach to working with our clients to include frequent and open communication. In addition, CEI's quality processes enable us to significantly reduce production lead times and project completion dates while delivering to our clients the high value products that they expect. From concept to completion, new construction or retrofit, clients can rely on CEI to deliver the highest standard of quality. CEI provides all required professional and technical expertise from in-house resources, as well as skilled subcontractors that have completed all of CEI's stringent training and background requirements. Each project is staffed by our brightest personnel who are subject matter experts having developed the practical expertise to address and successfully complete your project. These career professionals possess the educational degrees and industry certifications that authenticate the capabilities of CEI. Phenolic panels bring compelling aesthetic and nearly limitless design possibilities to next generation architectural claddings. Phenolic Panels are a decorative, high-pressure compact laminate (HPL), utilizing a blend of up to 70% wood-based fibers and thermosetting resins, manufactured under high pressures and temperatures yielding a highly stable, dense panel with good strength-to-weight ratios. Ventilated facades are more than a design style; they provide energy efficient, long lasting properties resulting in a variety of advantages. Phenolic panels are weather resistant and color stable, solid and sturdy, and offer low maintenance as the dense HPL surface limits dirt accumulation. This perfect blend of durability and longevity, along with a broad range of colors, finishes and tactile effects enable concept to meet solution. Insulated Metal Panels (IMPs) can be used in a wide range of building applications. IMPs consist of two single-skin metal panels and a foam core. This option of panel system can be installed both vertically and horizontally, with a smooth or embossed finish. IMPs are fastened to the substructure with hidden clips to eliminate thermal bridges. Insulated Metal Panels are available in a wide range of colors and textures with optional thicknesses of 2", 4", 6", 8" and more. R-Values range from R-14 to R-30. Single Skin Metal Panels are an ideal solution whether you want to enclose, protect, or meet thermal, acoustical, or fire-rated performance requirements. Offered in a variety of substrates, these wall systems are available in aluminum and steel with a Kynar finish. These easily installed panels come in a variety of profiles such as corrugated, ribbed and more. The Profiled Metal Panel system is durable, cost effective and is available with both exposed and hidden fasteners. Sheet sizes range between 1-4 feet in height and up to 20 feet in length. 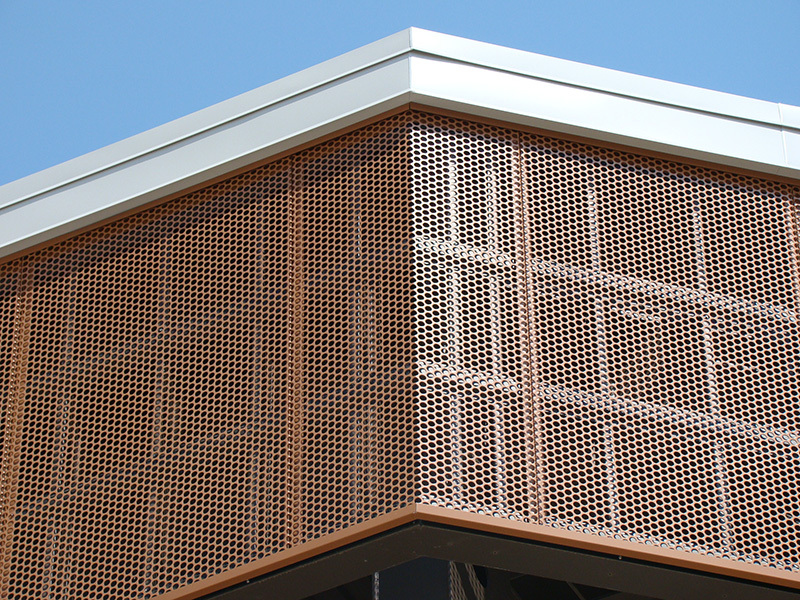 We specialize in Plate and Perforated Metal Panels fabricated out of solid aluminum. This material can be formed into limitless profile options and is available in numerous colors and finishes. Plate panels can be used in conjunction with CEI's attachment extrusions. 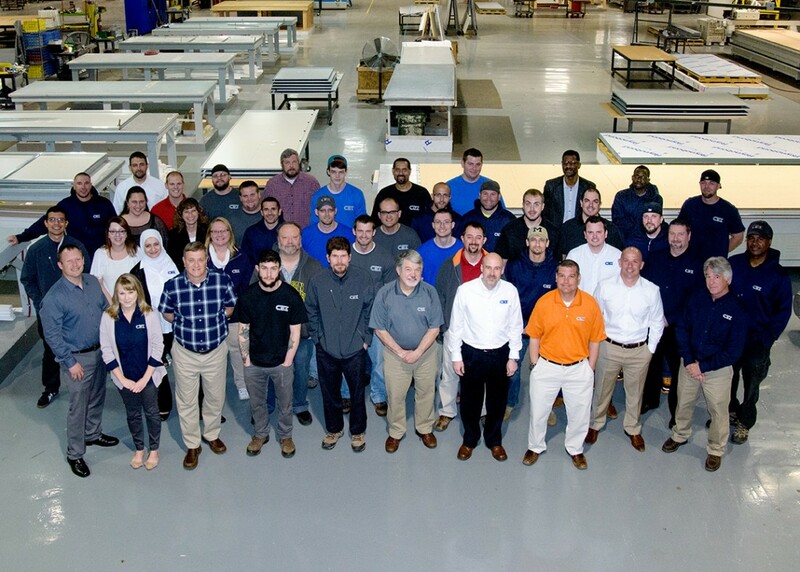 CEI Materials is a nationwide leader and full-service provider of architectural panel systems and components. Contact us today to request a bid or find out more information about our capabilities.